Shaman is a word that comes from north eastern Asia, it is not an English or European word. Probably it seems its origins are in Sanskrit. So, it comes for time and place beyond and before it was used in Mongolia/Siberia. Every culture would have had its own name, word for their own "Shaman." But where the tradition has faded out in cultures over time, the cultural names have been lost too. Until we can remember who we are, or more usefully, remember who we are becoming, we use the name that we have come to understand that describes what we do the closest. Part of our conditioning, as human beings, as people, is that we often seek out, or at the very least we respond to drama. Our attention gets caught by it, which means we notice it, we're touched and hooked by it, even when we think we don't. So although it happens 'out there' and isn't ours, it will connect with anything that is ours. Any issues, beliefs, memories of unhealed woundedness and disconnection that we hold, even in the back of the back of our minds and remeberings. What I'm suggesting is this, we want to see it when it happens, even if we get caught by it for a little while, so we can work with all our own "shadow" and our own drama hooks. Its like, for me, I'm noticing that I'm not really engaged in the eNews about North Korea at the moment (see the photo above). I don't know if what is being reported is true or real. I see that I'm not being frightened by it, but if it is real it could have a massive impact on me and the world. What I'm noticing is that many other people seem to be very engaged, or hooked in to the drama that is being described between Both Korea and the USA (Mr Trump). It's important to see how, where, when we notice drama. Even if we don't get 'hooked', or think we don't, if it's 'caught' our attention, in a way it has hooked us, found dates place where we have a hook that it can engage with. And we can do sweet and easy work to work our own side of the drama velcro and let it go. What follows, little by little is change. Change evolution and growth. As we let go of the need to live in a smaller bubble we become bigger people in bigger worlds with bigger relationships. Those closest to us often reflect all we don't see about our selves when we look in the bathroom mirror. But our increased connection with the world opens our eyes to everything. And we have needs to grieve, and feel, and be angry, and shout and cry ~ without it making any sense, because those moments of feeling were lost to us in the past. When we were numb but safe. Now we can feel them all. We need to honour them all, even the difficult and painful ones. They remind us of the parts of ourselves that have kept us alive, kept us going through great difficulty in our lives, even if the way they help us doesn't work so well now that we are older. We call home all our projections from other people and relationships and the whole world so we can be "The whole world living inside us." Connected to every thing and everything connected to us. Releasing everything and every to be not who they represent to us but who they really are. Our deep time ancestors knew this, more than knowing they felt and lived it. And I feel this is what calls us all to re connect once more, this deep longing and yearning to feel all the parts of us that we have orphaned off over time. As I look into my life these days, having made my choices to step into a bigger life, what I see is that I have never had so much work. And I am loving it! So, I sat to write this post yesterday, first noticing that it has been 3 months since I wrote on my blog, the day after my birthday. It has been a very full and busy time for me. Just looking back through my calendar on my Mac I can see how many new clients I have seen this summer. Workshops that I have been to, and workshops that I have run. New venues for workshops that I have visited, and even a camping holiday in Cornwall for 2 weeks. August began on the back of a fabulous workshop in Denmark hosted by Debbie Tregloan and led by Jorge Luis Delgado, a shaman and friend from Peru. We stepped into the Solar practices and initiations of the Children of the Sun. Combined with the powerful landscape of the Neolithic sites of Denmark, it was a transforming weekend. With Jorge I have been working for some time now with Cintamani stones. These stones are said to have come from the Sirian star system, they certainly have a powerful energy of their own when you hold them in your hand or carry them with you. 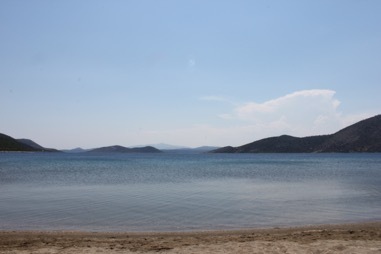 From the beginning of July to early August there are two “Sirian Gateways” that bring the energies of transformation, change and accelerated balance and evolution into our lives. I remember thinking on this at the end of July and through August when I found that I was facing a lot of change in my life, yet again, for this has been a year of opportunities for change. Not just for myself, but for many people, I have noticed. And the choices as always have been to resist change and stay as we are, if that is possible, or to shed what we know and step with arms open into something new, even if we do not know what that will be. Scary stuff isn’t it! And also exciting too. It wasn’t without so much surprise then, while for me it was still unexpected, that August saw a number of conversations that have led to changes in the connection between myself and some of the people that I have been working with for the past few years. While I will miss so much about some aspects of these relationships, some of these relationships had become suffocating and over limiting. Letting go of what we imagine we know is not always easy, maybe it can be. Partings are not always sweet or complete. But without the breath of change there is no life. Change, evolution and growth are the core qualities of the medicine wheel programme that I teach, and the way that I live. 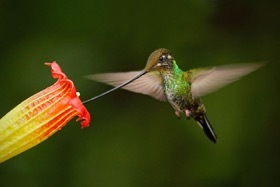 They are the qualities of the medicine of the Hummingbird. Change for change’s sake on the other hand is a different thing. We need to grow, physically, mentally, emotionally and in our connection with our soul’s journey. If not we risk staying small and stuck, but possibly feeling safe, but still stuck and fed by a life that may no longer nourish us, and for reasons that no longer make so much sense other than that they have become our habit. Ultimately something arises from within our own selves, or from the world around us, to give us the nudge we need. Sometimes it’s a sweet nudge, and sometimes not. As human beings, as people we have developed great resilience towards discomfort, and pain. It may be a quality that we inherit from our deep time ancestors. A quality that enabled us to survive, even when injured. However, in these days it becomes a quality that anaesthetises us to the pain and discomfort of being stuck. But if we do not grow and shed the old skin as a serpent does then we embody an old way of being in the world that used to serve us well but is not large enough to help us gather the space to grow and to live larger and more fabulous and amazing lives. So this is where I am. Growing a much larger skin, a much larger life. It takes courage to let go of what we know and to step into something new. It is always an opportunity for all our old fears to show up, all our shadows. And I am glad that they do. Because I want to know what I fear, I want to know what directs me towards or away from anything in my life, without me being consciously aware of it so that I can be the one in charge of my life and can be on track towards living my highest destiny, whatever that will look like. I honour this courage in all the people that I work with. All my clients and all my students. It is this Courage, “Cour-age,” the power of the heart, that is the strength that sustains us through transition and change. As I look into my life these days, having made my choices to step into a bigger life, what I see is that I have never, so far had so much work. And I am loving it! I love the work that I do. The opportunities that it brings for me to work beside other people and support them on their journeys, and to reveal and unveil my more amazing life in each moment too. At this time, every week, I am receiving more contacts from new clients than ever before. People seeking my help as a shaman on their life’s journey with all that they are obstructed by. More than ever before. People inviting me to come and run workshops in their homes and retreat centres in so many countries. So much more than ever before. I realise that what I see is what I have always believed. When we show up and do our own work, the world we live in changes. Saying YES! to ourselves, working with, revealing our shadows, our beliefs, and fears, hopes and dreams, allows us to become so much more available to life. And the universe feels it in a very real way. So do other people. Here’s to an amazing day, week, month, year, lifetime to come. My invitation is that you say yes to your journey of a lifetime too, if you wish and choose too. We hold many beliefs about the world around us, about other people and about ourselves. Some of them we are aware of. But like giant icebergs floating out in the ocean, many of the things we believe are hidden from view. Submerged in our unconscious. Making them visible helps us to see what we might usefully work with to help make our lives easier and sweeter. So after taking a look at the underneath of your personal iceberg of unconsciousness maybe you have had some surprises, maybe you have a belief that you are terrible, or that you are fabulous and amazing? If so then now you have some opportunities. Now that you see these things you can work to help bring balance back into your lives. We can accept and honouring that our journeys through life so far have given us many gifts. Some will currently be more useful than others. But knowing what is motivating us, knowing what and who is "driving our bus" gives us so much more choice and power in our lives. 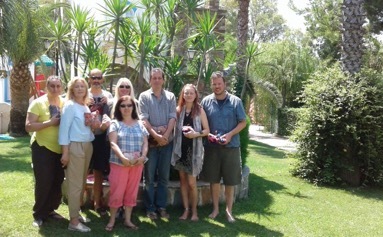 Our Medicine Wheel group in Greece got off to a fabulous start two weeks ago. Working from a new venue this year we have found ourselves right on the beach and surrounded by mountains so we are held by the energy of the Mama Cocha, the Mother of the waters, the Apu's, spirits of the high mountains and of course, the Pacha Mama, the living earth on which we walk and stand. The Medicine Wheel programme is organised as a personal growth, healing and development journey in four parts. And it is necessary to complete each part of the programme to be able to progress to the next. The second part of the programme, the 'West' class will be in September. But we have the possibility of offering a further initial class, the 'South' during August if there are enough participants interested. 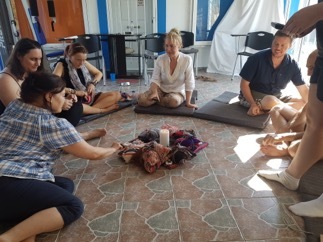 As well as learning the healing tools of the Shaman, which will enable you to work as a Shamanic Practitioner with other people if you wish, the Way of the Shaman is a powerful personal development and healing journey. It is leadership training, but to be the leader in your own life, so you can really live the life that you cam there to have, instead of one that keeps you going around the same old stories, being stuck in old patterns. Safe but small in many ways.